Despite huge market events in the last two decades, fresh data shows massive growth nationwide in property values. A look over the last 20 years’ worth of property market data by CoreLogic research analyst Cameron Kusher revealed an impressive run of value growth. Over the 12 months to January 2019, national property values declined by 5.6 per cent and is considered by CoreLogic to be the largest decline since March 2009 (the height of the global financial crisis). Both combined capitals and regional markets saw declines – 6.9 per cent and 0.8 per cent, respectively. However, Mr Kusher found dwelling values have soared by 197.4 per cent over the last 20 years to January 2019, with the combined capital cities rising by 212.4 per cent, followed by the regional markets with 150.3 per cent growth. Melbourne is the greatest beneficiary of this long-term explosion in prices, having grown 274.6 per cent over the last 20 years, followed by Hobart with 237 per cent. Among the other capital cities, Canberra rose by 230 per cent, Sydney 201.9 per cent, Adelaide 193.8 per cent, Brisbane 182.8 per cent, Perth 148 per cent. Darwin was the only market not to see triple-digit price growth, with values up by a more subdued 38.4 per cent. “The housing market is seeing several headwinds that have not been seen for some time,” Mr Kusher said. “Throughout most of the past 20 years, credit has been becoming easier to access; since late 2014, credit has increasingly become harder to access. Furthermore, ongoing strong value growth in Sydney, Melbourne and Hobart has seen housing affordability rapidly deteriorate over recent years. 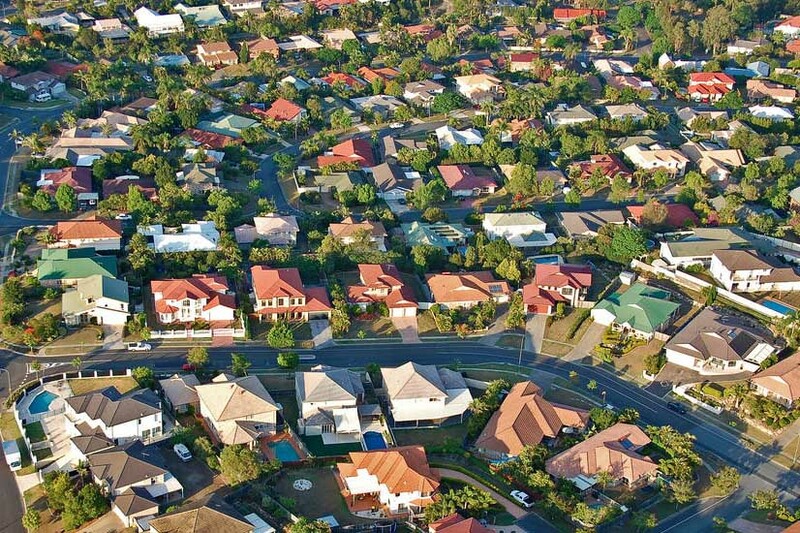 CoreLogic analysis determined the last five years to January 2004 was the strongest five-year period for value growth over the last two decades, as dwelling values rose by 80.2 per cent, with combined capitals up 79.6 per cent and regionals up 82 per cent. Canberra stood out for this time period, rising 110.9 per cent. Darwin was the only capital city to see values fall, with a decline of 3.9 per cent. The next time period of 2004 to 2009 saw growth become more subdued by comparison, Mr Kusher said. Overall, values rose by 14.9 per cent, capital city values were up 15.2 per cent and regionals rising 14.2 per cent. “While the headline figures show little growth, it was quite a different story within different regions with some of the smaller housing markets experiencing big gains,” Mr Kusher said. Hobart saw the strongest capital city value rise of 57.1 per cent, while Sydney declined by 4.6 per cent. Regional WA saw values balloon off the back of the mining boom, rising 80.9 per cent. A post-GFC and post-mining boom environment saw much more moderate overall growth in values of 20.3 per cent, with capital city values rising 25.3 per cent and regionals edging up by 4.8 per cent. Sydney managed to see the strongest growth for this period, with a rise of 36.5 per cent, while Brisbane saw the weakest growth, rising by 5 per cent. The most recent time period has seen property values rise by 19.4 per cent, with capital city values rising by 20.6 per cent and regionals up by 14.9 per cent. Hobart stands out as the capital city experiencing the strongest growth for the period, rising 35.1 per cent, while Darwin recorded the least, declining 24.4 per cent.